Pest Detector is a small family owned and operated company in business since 2001. We pride ourselves in personal professional service and being experts in our industry. Unlike large companies we are able to treat each customer individually. You don't become just another number. Excellent service and a reasonable price! We are out of the state for about 6 months and come back to a bug free home. Any time I see something, whether it is fire ants outside or regular ants inside, it only takes one phone call and they are back to treat the issue. I recommend their service to everyone! Very professional. Live up to all their promises. The price is more than reasonable when considering their outstanding service and their desire to keep their customers happy. I have been a customer for 3 years now and I couldn’t be happier. The staff is very nice, attentive to detail and any issue I’ve ever had has been dealt with immediately. Great customer service as well, Bravo!!! Always feel like we have received a quality service. Technicians are thorough and do not rush to get to the next customer until yours has been completed correctly. Thank you Tim. We do like to make sure each home is throughly checked and serviced indivdually. I have been very happy with the service I have received from Pest Detector. The treatments are always explained to me in detail and over the past couple of years I’ve learned a lot about ants. Keeping them controlled is quite an undertaking and better left to the professionals, in my opinion. Thank you Pest Detector for your diligence. Thank you Becky. It's imporant to communicate our findings so our customers know what to expect. We pride ourselfs on fixing pest problems. Pest Detector is a woderfulcompany.Donna, Joe, Dale and all staff are a delight. My house is bug free and they are very neat. Great Job!!! Thanks Dale. It's been a pleasure working with your too. Dennis Rodriquez is an excellent technician with Pest Detector. He is always prompt and courteous and does the job right the first time. He compliments the owners of the company - Dale and Katrina perfectly. As a team there is none better than Pest Detector. Please use them to take care of all your bug, termite a rodent problems you might be experiencing. Thank you so much Paul! We have enjoyed taking care of your home and renters since 2007! We have used Pest Detector for several years & we find them very reliable - very professional & very pleasant to work with - Thank you. Thank you Judy. We are always ready to take care of your rentals at a moments notice. Ive been a customer for many many years. Lived in 3 different homes. They have always exceeded my expectations. Wouldnt use anyone else. Thank you Laurie. Dale said he was supprised to see how much the kids have grown over the years. It's so good to get to know you and be there when you need us over the years. Very customer friendly. Whenever I see a problem all I have to do is call and they send someone out quickly. I have been happy with your service to date. I don't know, and hope I never have to find out, just how good you are at repairs and/or replacement of areas of the house damaged by termites. That is something I cannot grade you on since I have never had that experience. Thank Bill. We do offer free termite inspections, services and many levels of warranty coverage. Pest Detector is the best! I have not seen a bug in my home for over two years since they have been taking care of my property. Wonderful service for a reasonable price, you don’t find that very often these days. I would highly recommend them to anyone. Thank you Karen. It's been a pleasure working with you. Always responsive to our needs!! Rarely see bugs!! I AM ALWAYS SATISFIED WITH THE SERVICE I RECEIVE FROM YOU. Great people, very reliable And extremely conscientious. Thank you Ray. We do try hard to keep the bugs outside where they belong. Thank you Karen! It's been a please working with you since 2004. I am very pleased with your service and will continue to use you! Thank you so much Joan. Have a nice holiday weekend. Pest Detector has been awesome for the last 10 years with keeping my house bug free! Their customer service is the best! I never have an issue with them coming to check something out or to get rid of spiders (ugh) or other critters. I totally recommend then to all my friends. It has been a pleasure working with you over the years. Thank you. 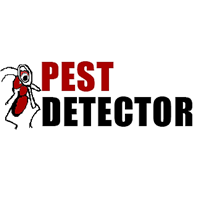 I have been using Pest Detector for close to 4 years and they have been very reliable, customer friendly, professional and highly qualified. If you need them to come back to check anything they are quick to respond. I love that I don't have to worry about bugs anymore. Thank you staff at Pest Detector. I have been with Pest Detector for over 7 years and have enjoyed their prompt, courteous service for each call. They do the job very well in that their is no need to call them back. Very thorough each time they come to the house. Very friendly office help and technicians. Thank you Nancy. It's always nice to talk to you and John. Very pleased with your services. Great service, knowledgeable inspector and very curtious. Thanks Allen! I'll let Dennis know you are pleased with his work. We are very pleased with Dennis doing our work. He is a very caring and attentive employee. We have been with your company for as long as we have lived in Florida (11 Years) and all the Employees are very Friendly and Polite. Thanks for all you do for us. Thank you so much Mr. Fogarty. I will let Dennis know you are happy with his service. Pest Detector has been great. We chose them last June based on their website, and were not disappointed. They are punctual and effective. I would definitely recommend them! It's been a pleasure working with you. Thank you. One of the best companies in the area. They come when expected, don’t have to call and remind them. Their employees are always friendly and professional. Lauren was here the other day and did a great job! Also, very nice to talk with. Reminded me if I saw any critters in the house to let her know. I haven’t since they have been taking they have been taking care of me! Thanks everyone!! Thank you Ms. Boyd. I will let Lauren know you appreciate her work. Lauren does an excellent job we haven’t had any issues since she has been treating the house. We would highly recommend this company. If you are tired of dealing with your pest issues, look no further!!! Great Customer Service, Great follow ups, Competitive Pricing!! Thank you Lissette & Katrina! Great service. Dennis is the Best. Asks questions and actually listens to the answers. Lets me know if there is anything he sees that I should keep an eye on. Love that I can rely on Pest Detector. Thank you Nancy. Dennis does like to take care of your home as if it was his own. I will let him know you are pleased with his work. Always enjoy having Joey or Lauren come by to treat the property, both are very Knowledgeable, friendly, helpful and responsive to our needs and concerns. Thank you for your post John. I will let Joe & Lauren know you appreciate their work. Dennis does a great job! He is very thorough during his visits and goes the extra mile to make sure he's treating everything we've encountered. He has excellent customer service and interpersonal skills which reinforces the confidence we have in him. Always on time with courteous service. Have no complaints on the service or personnel. Thank you for your testimonial Ms. Potts. We appreciate it. Excellent service. I have been with this company for about 5 years. They do quality work and follow ups if needed. Joe is always courteous and pleasant. We have enjoyed servicing your home. Thank you for your kind words about Joe. Great Job - Great Company. Thank you for your positive review Kimi. I have been very pleased with Pest Detector's service & would recommend to anyone. They are always accommodating to my needs & always pleasant. They were great. The he best part is they call you to check to see if they have taken care of your bug problem.